I think all parents in the United States should be required to vaccinate their children early on. There are severe consequences for children who aren't vaccinated. The consequences include measles, rubella, and even autism, but they can all be avoided with a few simple shots. 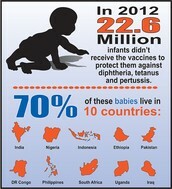 All in all, I believe all parents in our country should be required to vaccinate their children. Yes, parents should be required to vaccinate their children. "Many of those parents are simply hoping to limit the number of shots their children receive at once, she added, and are willing to accept combination vaccines" (Saint Louis). "However, immunization has also saved many children from death and serious illnesses" (Rowlands). "While parents who don't vaccinate their children have been the focus of the recent measles outbreak, experts say vaccine delayers compose a larger and growing group" (Reddy). Dr. Eric Ball says, "'Basically they're afraid that if you inject your child with three shots in one visit it's more than the immune system can handle. From a scientific standpoint that's ludicrous" (Reddy). "... Vivian's pediatrician, Ellen Dragsten, sternly laid out the potential dangers her unvaccinated child could face ..." (McKay & Whalen). "The WHO estimates that 15.6 million deaths were prevented between 2000 and 2013, because of increased access to the measles vaccination" (Rowlands). No, parents should be able to opt out of vaccinating their children. Juniper Russo says, "'I had clung to the idea that if I breast fed and fed my daughter natural, healthy food and let my daughter play outside that would keep her safe ...'" (McKay & Whalen). Selena Allison says, "'But [vaccines] kind of freak me out. It's kind of scary thinking about all the things going into your perfect newborn'" (Reddy). "German experts say that one third of all vaccinated children either lack a sufficen immunization ... or are vaccinated too late" (Noack). Nowadays in the United States of America, parents are beginning to not only delay their child's vaccines, but they're skipping them altogether. There are many different viewpoints on this topic. 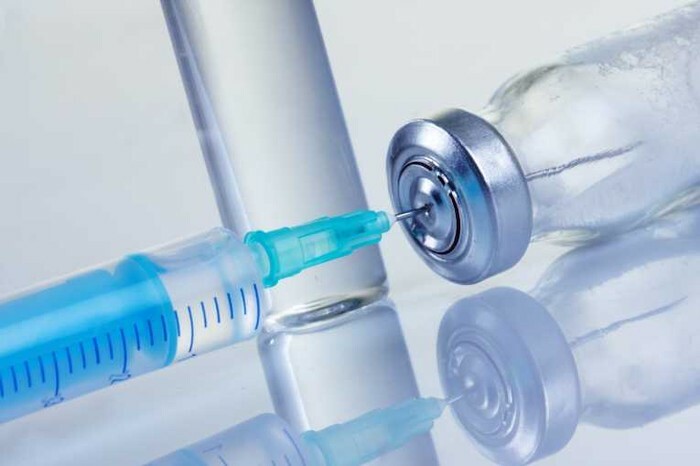 Some people think parents should be required to vaccinate their children, while many others believe they should be able to get out of vaccinations, even though there are many serious possible side effects.